When you own a car, it is your responsibility to care for it. Many car owners seem to think a car runs on magic dust. You have to continually check for oil, gas, and water in your vehicle among other things to make sure your car stays fit for a long time. Having basic knowledge about your car can help you counter a mechanical problem like your car shutting off while running. 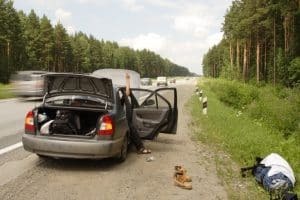 In this article, we will shed light on the various reasons why your car can shut off while driving so the next time it happens you are well-prepared. In modern vehicles, there are a lot of different sensors and functions to make your car run correctly. Some parts are more common than others tho. Here is a list of the most common causes to look for when your car shuts off while driving. If you have a newer car and experience the Check Engine light also, you should read the trouble code memory with a Code Scanner, and you may get a hint of where you should start your troubleshooting. This is a much better method than just guessing and replacing parts. The most common problem when it comes to a car which shuts off while driving is a defective crankshaft position sensor. The crankshaft sensor is a necessary part to make your car engine running on a lot of car models. On some car models, you do also have a camshaft position sensor, which the car uses if the camshaft sensor is faulty. In this case, a faulty crankshaft position sensor may not cause the car to stop entirely. However, if your car is only equipped with a crankshaft position sensor and you get a trouble code on the sensor, you should start with replacing it. A fuel pump has the responsibility to supply the engine with the correct amount of fuel. If the fuel pump is not providing the right amount of fuel to the engine, then the engine will shut off entirely and you will be left stranded for hours. The bad news is that there is no bypass for a faulty fuel pump, you have to get it fixed or buy a new one. Furthermore, it is possible that it is the fuel filter and not the fuel pump that has gone bad. A fuel filter is a small component whose only job is to clean the fuel that goes into the engine. If the fuel filter is clogged, the fuel entering the system will be insufficient and the engine will shut down. Fortunately, it is pretty easy for you to replace a fuel filter. The third and final thing that could go wrong with your fuel system is a leaking fuel supply line. Petrol or diesel is transferred to the engine from the fuel tank via supply lines. If the supply lines break or are clogged for some reason, your car’s engine can shut off completely while running. If you are driving around without keeping an eye on your fuel gauge, there is a better chance that your fuel runs out and you are left stranded on the side of the road. Therefore, it should be second nature to check your fuel gauge at least once during your daily drive. 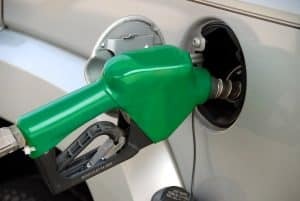 If you have sufficient fuel for your drive that is perfect but if your fuel gauge has gone faulty and it is not showing the real level of fuel in your car you could have a big problem. If your fuel gauge shows you have sufficient fuel and your car still stops running you should go get it checked by a mechanic. An alternator is responsible for managing the supply of electricity in your vehicle. If your car suddenly stops running, it is possible that the alternator has gone bad. A faulty alternator will cut power supply to vital car components and you will notice the lights turning off in the dash or the engine abruptly losing power. Fortunately, an alternator fails over time and you can sense it going bad. If your car is receiving the intermittent power supply, you should get your alternator checked by a professional mechanic. Alternators are electrical components and they are easily repaired so you are looking at a quick fix. Modern cars are fitted with an ECU, which is a small computer that directs the various car systems and functions. If there is any problem with your car’s ECU you can lose power in your car. Usually, any problem with the car’s ECU is shown by an illuminating Check Engine Light on your car’s dash. Once this light illuminates, it is your job to get your vehicle to the nearest mechanic and get a proper diagnosis. If you keep ignoring the Check Engine Light, your car will keep on developing problems, your ECU will fail and your car will shut off while driving. Furthermore, the ECU is not a component that you can fix yourself. You need to hire the services of a professional mechanic to get out of ECU trouble. The car’s ignition system supplies power to the engine to run. If the system goes bad, your engine will come to an abrupt halt. The first thing you should do is try turning your car keys again. If that still doesn’t start the engine, then you are definitely experiencing an ignition system failure. You should consult a mechanic for such problems at the earliest. However, it is possible that it is a small component like an ignition relay that has gone bad. Relays are pretty small but they have an important job of controlling the amount of electricity going through them. Just like every other electronic component, relays have a life after which they stop working. The good news is that you can change a relay yourself, you just have to know the correct one to change. A car does often not stop completely all of a sudden. It gives you signs of failure long before it actually stops working. If you are constantly ignoring these signs, there is a better chance that your car stops working suddenly. Therefore, you should make a habit of taking your car to a mechanic for regular checkups. Leave a comment down below if you have any other questions.